- Go to the SHiFT Machine in Concordia. -Tab over from "SHiFT News" to "Repository"
-Under "Repository" you will see a list of all your redeemed Golden Keys. 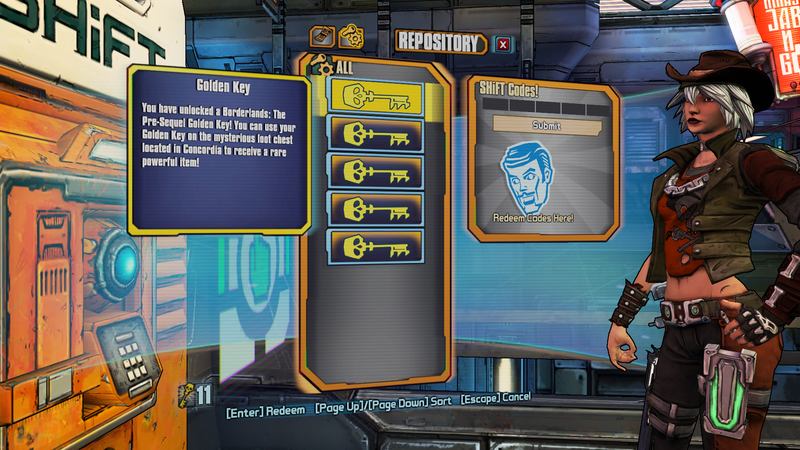 To retrieve them, simply select as many Golden Keys as you would like, and they will be added to your inventory. -Your Golden Keys are now viewable under the Badass Rank tab of your ECHO device, and are available for use in the Mysterious Chest in Concordia.